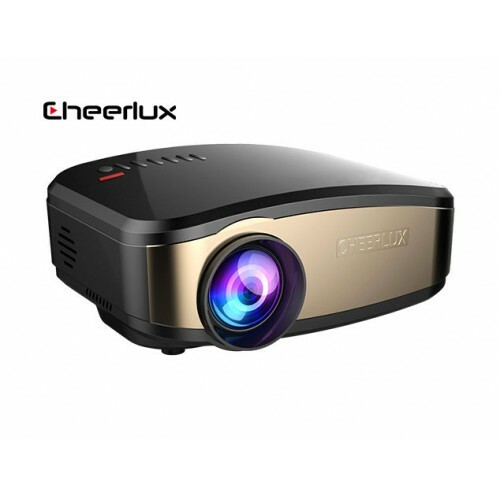 Cheerlux C6 with built-In TV card having the brightness of 1200 lumens & the resolution of 800x480 mini LED projector is well capable of creating an impact on entertainment & business presentation. The contrast ratio of 1200:1 for 50-100 inches image on the screen can provide enough clarity & visibility. The TFT- single LCD panel with 50,000 hours of lamp durability supports up to 1080P resolution. 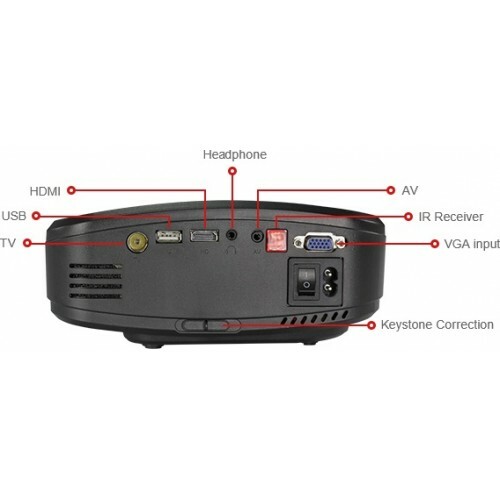 This well reputed brand ensures HDMI (Support 1.1-1.3), USB ports, VGA (PC), composite A/V, headphone, analog Tv(C6D:DTV,C6W:Wireless) connectivity for compatibility. This classic black & copper colored affordable device has a great portability with the weight less than 1 kg. Star Tech offers the best deals in Rangpur, Dhaka, Chattagram, Sylhet & Rajshahi for the projectors. Experience bright, high-quality images in the home & office with 01 year of Service warranty facility. Purchase online and have the delivery at any destination in Bangladesh.